Following on from our updates on new restaurant arrivals in Parkview, Melville, Milpark and Maboneng last week here’s more restaurant news to keep you busy in June. June and July are the coldest months in Joburg and warming winter menus are the order of the day. The luxurious Four Seasons Hotel The Westcliff is transforming its grill restaurant with a view, Flames, into a cosy winter retreat this June and July with fire pits stationed across the terraces and on the menu Belgian hot chocolate and a choice of fondues and Asian hotpots. 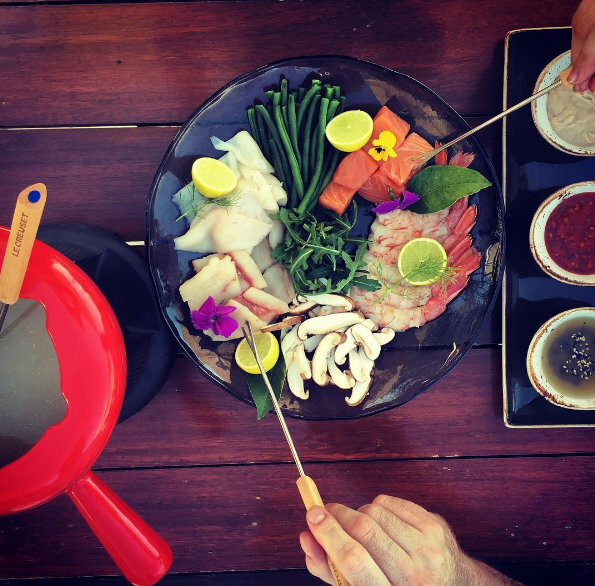 The Westcliff Winter Fondue Experience costs R395 per person for lunch (weekdays only) or dinner. The Westcliff Winter Experience runs from June 1 to July 31. One of our favourite Maboneng hotspots, the Greek souvlaki cafe run out of a quirky upgraded shipping container Soul Souvlaki, is opening a second brand in Craighall just off Jan Smuts Avenue. The new branch promises the same great Greek souvlaki and wraps as the original spot in Maboneng and is aimed squarely at the local takeout and delivery market, although there will also be a small counter space where you can eat in at the store. The new branch is due to open by the end of May and is located at 339 Jan Smuts Avenue (in the Shepherd Market centre). Chef David Higgs of the popular Marble restaurant, situated on the top floor of the Trumpet building on Keyes Art Mile, is launching an exclusive butchery modelled on Victor Churchills in Sydney, which has been described as ‘the jewelry shop of butchers’. 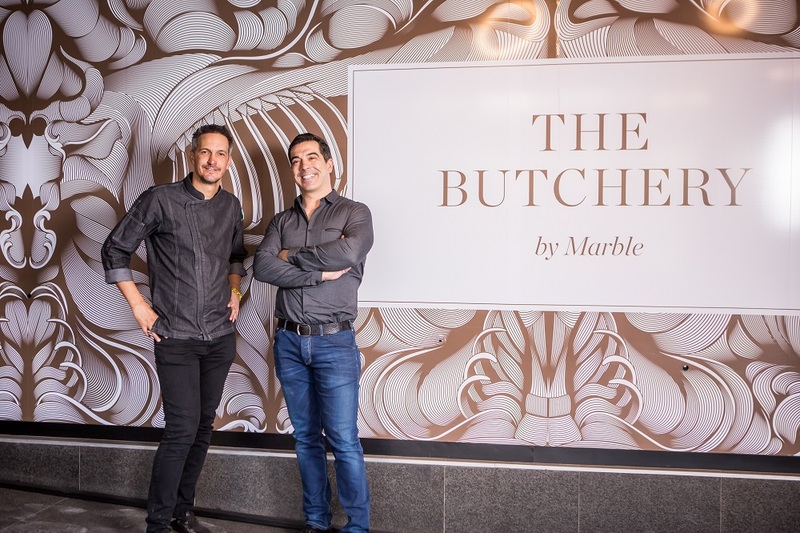 The Marble Butchery is set to open in July on the ground floor of the Trumpet building and promises to offer “some really special cuts – both dry-aged and wet-aged,” explains Higgs. “We also want to be able to support specialty offerings, such as the cured meats by Charcutier Neil Jewell. He’s an absolute genius and we want to be able to support him, and others like him, and bring Johannesburg something different.” Customers can also head to the butchery for expert advice on how to cook and prepare their meats at home. The butchery will be open from July from 10:00-22:00 daily. The work on the new Alice Lane Precinct, opposite the Sandton Sun Hotel in the middle of Sandton’s central business district is now complete. What was once an uninviting and closed-off office block has been opened out into a public square lined with restaurants and cafes catering to a business crowd. The Grillhouse Sandton has moved to a new location here, closing its Atholl Square branch and taking up prime position at the far end of the Alice Lane Precinct. The terrace looks out over the broad expanse of the northern suburbs with a panoramic view that is undoubtedly one of the best in the area. Other new dining hotspots in the precinct include a branch of the build-your-own salad bar Krunch and Wishbone Cafe Bar & Bistro, an elegant little spot decorated with contemporary sculptures and offering a great value weekday Express Lunch of sushi, soup, a sandwich and a coffee for under R100. Fan of The Grillhouse’s New York steakhouse style meats and atmosphere will be pleased to hear that in addition to the Rosebank and Sandton branches, they are also due to open a Melrose Arch branch in mid-June.